Here are the top five things that come up in almost every home inspection. If you proactively take care of these items before you list your home, it can make the sale of your home go a lot smoother, but these are also things you need to do for regular home maintenance to avoid bigger problems down the road. Water can cause major problems inside and outside of your house. The most neglected or overlooked area is the wood trim on the exterior of the home. Take a walk around the outside and look for peeling paint and rotted wood. If water penetrates the wood, it can cause more extensive problems, so it is best to fix it when you notice it. If you do have to replace some of the wood, consider using composite materials. They cost more upfront but then you will never have to replace them again. Also make sure to check for gaps around your windows and doors and re-caulk those as needed. Next, check the grading around the outside of your home – make sure the ground is sloping away from the house and not down towards it. Overlooking this could lead to water issues with your foundation and/or basement. Every few years, remove the mulch around the home, add more top soil near your foundation to make sure it is sloping away from the house. Make sure to check your gutters. Cleaning these out ensures that all of the rain water is routed to where it should go, which is away from the house. Add extension hoses if you need route it further away during heavy storms or a rainy week or season. Finally, inspect your bathrooms to see if the caulk or grout needs attention. If there are gaps in these areas and water seeps behind, you could have mold issues and tiles could start coming off the walls. And also make sure there are no active leaks under your sinks, toilets, dishwashers, washing machines and refrigerators. Make sure that all of your light switches work and that all light fixtures have working light bulbs. Don’t forget to put new bulbs in your outdoor lights and the garage light as well. The home inspector will also check to make sure that every single outlet is in working order. The home inspector also opens the electric panel to check the wiring. So if you have done some DIY work, consider having an electrician come out and ensure that your work is up to code. Nothing will scare your buyer faster than potential faulty wiring. Change the filters on your HVAC system, including the humidifier if you have one. The humidifier is usually forgotten in most homes and it has a filter as well (it is a metal mesh filter that you should change once a year). For your HVAC, it is best if you buy a filters with a lower MERV rating to allow air to flow through the system and change them once a month. If you buy the heavy duty filters, your system then has to work extra hard to push the air through. However, if anyone in your home has severe allergies, you can use the heavier filters, but make sure you are changing them frequently so that you don’t over work your system. Another item that comes up are dirty air ducts and dryer vents. Have these professionally cleaned, especially if you have pets. The dryer vent is especially important to keep clean in order to avoid a fire. I’ve seen houses that had lint coming out of the vent on the outside of the house (fire hazard), which is another reason to walk around the outside of your home a few times a year. If you have holes, scratches or a lot of scuff marks, fix these up and repaint to give it a fresh clean look and buyers will love your house even more. 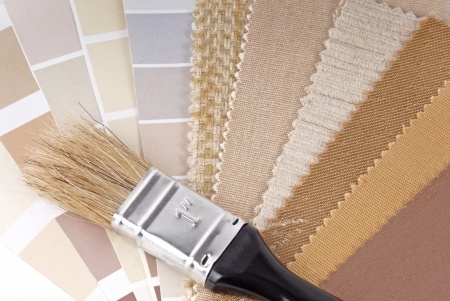 Pick subtle neutral colors that make the rooms seem light, bright and spacious. A freshly painted home gives the impression of a well maintained home and can translate into higher offers. This won’t come up in a home inspection but it definitely can affect the sale of your home. Make sure all of your windows can open. The inspector will try to open every single window. We see a lot with counter-balance issues (window does not stay open on it’s own) and windows that are missing screens or have holes in them. If you have a windows with broken seals, consider having those replaced if they are under warranty. A well maintained house will definitely shine during a home inspection. But don’t worry, if you haven’t had the time to stay on top of things, taking care of these top issues will definitely add value and give buyers piece of mind that they are moving into the home of their dreams.